Home =Technical Share= What Does An Engine Oil Work? The main purpose of putting motor oil into a an engine is to lubricate the parts inside. Inside of a car's engine there are many moving parts that, without lubrication, would rub against one another, creating extreme levels of friction and wear. Motor oil acts as a lubricant between these parts within the internal combustion engine of an automobile, effectively reducing wear, friction, and heat production. 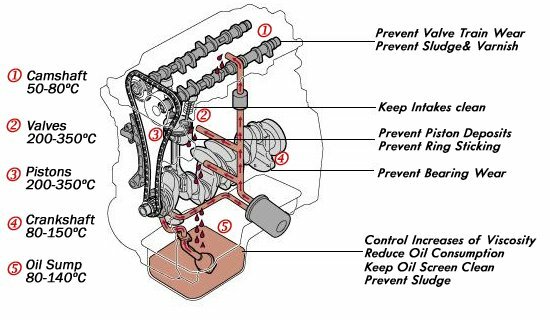 Without motor oil, a car's engine would wear out quickly, become extremely inefficient, and ultimately fail.